Storage spaces are great for keeping a variety of different kinds of items. Whether you need a space for some extra furniture, supplies and stock for your business, or just a bunch of various things that you can’t quite get rid of just yet, renting an off-site storage space is a great way to get all of that stuff out of your hair while keeping it safe and secure. However, some of the bulkier items you may need to store can be a pain to transport to your storage unit. Luckily, there are a number of different tools and types of equipment available to make the transportation of your heavy and awkward items so much easier. In today’s Affordable Family Storage blog, we take a look at some of the most common types of tools used to move items into a storage space. 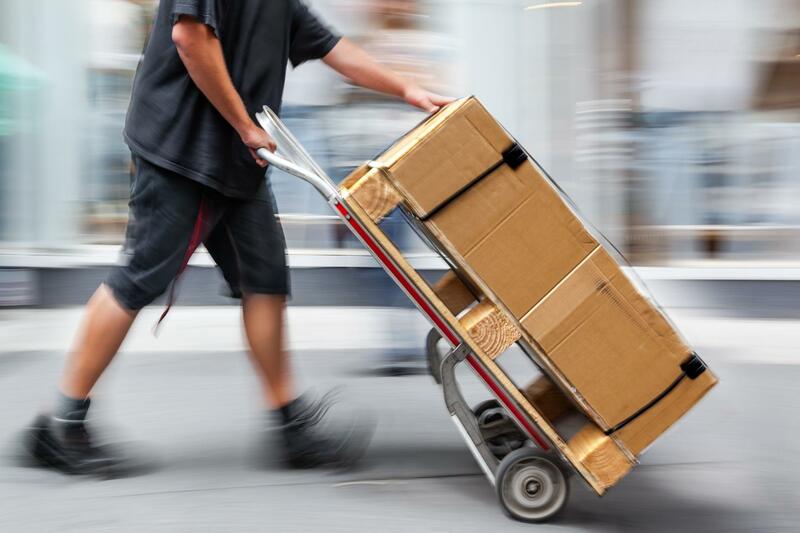 If you’ve ever seen a package delivery person bring a stack of packages to a door, chances are that they were using a hand truck to carry all the packages at once. Hand trucks are great for transporting multiple boxes at the same time without putting a lot of strain on the person. If you are moving a bunch of boxes to your storage space, a hand truck can be an extremely handy tool to have. If you don’t want to purchase one, see if a friend or loved one has one you can borrow – if not, many hardware stores and moving companies have hand trucks available to rent. Moving blankets and furniture sliders are other handy tools to have when moving stuff into a storage space. Both are used to create less friction between items and the floor, making it easier to slide heavy items across the floor. Using blankets and furniture sliders can help reduce the likelihood of hurting your back when moving too. You can purchase moving-specific blankets and sliders, but in a pinch, you can use a blanket you have at home and use pieces of cardboard as furniture sliders. With your items and equipment in hand, moving into your storage space at Affordable Family Storage in Des Moines has never been easier! With our secure, climate-controlled storage units, your items will be safe and protected, no matter what you choose to store. And with our online payment options and extended hours access, renting a storage space at Affordable Family Storage is a no-brainer!